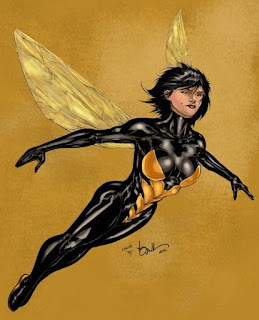 In case anyone has been wondering, yes, The Wasp will be making her appearance(s) in upcoming Marvel Cinematic Universe movies, being an integral part of their Phase 3 films. But where, well, the man behind the film giant is being mum and coy, not saying. Conjectures are that she won't be appearing in the upcoming Captain America: Civil War movie, considering how many character heroes are already appearing in that movie. Feige first implied multiple films, then later in an interview said 'one' film. 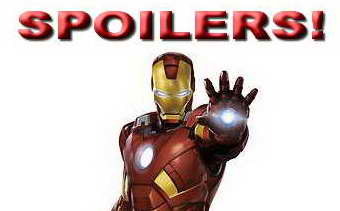 The working theories are that she will appear in the Avengers: Infinity War movies, both parts one and two. (that adds up to multiple appearances but maybe just "one" film with two parts. Right?). There's a small core of fans that have been wanting to see Ant-Man and other diminutive characters like The Wasp show up in the Marvel film universe. Me, I'd love to see Nova, the human rocket, show up. But I think I'm not gonna see that any time soon. But hey, who knows. Why are we talking The Wasp? Because in Ant-Man, Hank Pym give his daughter, Hope, a new and update version of the suit is wife had worn in earlier years. So everyone is pretty excited about this development.